Our Indian para-athletes have been making their remarkable presence at the international para-sports events. 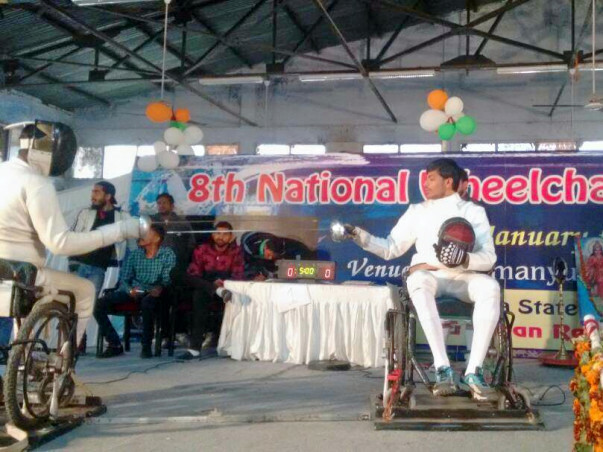 One such para-athlete Venkatesh Babu N, a wheelchair fencing champion is making his mark at International Level and has represented India quite a few times now. Venkatesh Babu N belongs to a farmer’s family of Gouribidanur Taluk in Chikkaballapur District. He is the son of Narayan Reddy and Laxmi Devi. At the age of 6, Venkatesh met with an accident and lost his right leg. This incident made him loose hopes. But, his mother’s brother and his guardian, Ramanjin Reddy came into his life as a ray of hope. 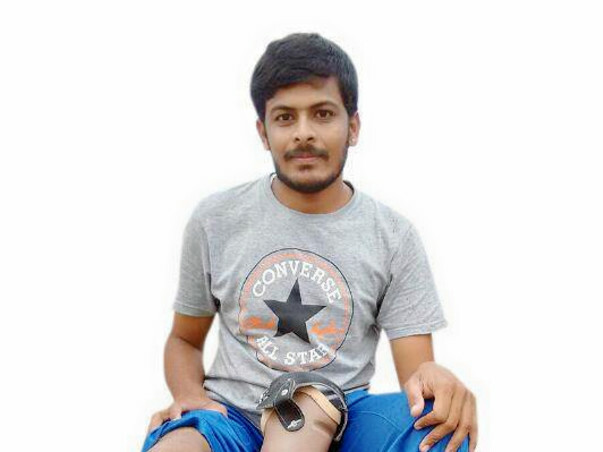 He motivated Venkatesh and boosted him with confidence by providing him with a prosthetic leg. From that day, Ramanjin Reddy has been a backbone to him. There was no turning back from then on. Venkatesh like any other child completed his schooling and pre-university course. He then worked at a Garment factory in Bengaluru for a year to support his studies and completed his Diploma in Electrical and Electronics. But then Venkatesh Babu was determined to make something of his life. He wanted to satisfy his fervor towards sports. 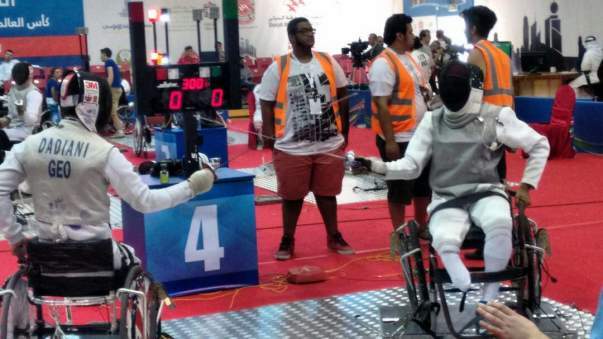 This passion towards sports made him take up wheelchair fencing as his career. 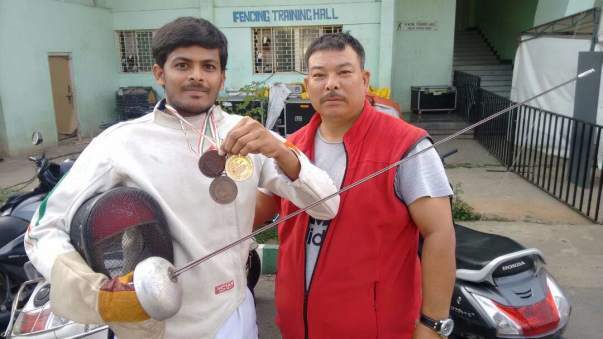 He met the famous fencing coach Irom Deban Singh at Bengaluru and started his training in Wheelchair fencing from 2012. This was the start of his new journey. Even today, Venkatesh gets his training from the same coach at Kanteerava Stadium, Bengaluru. 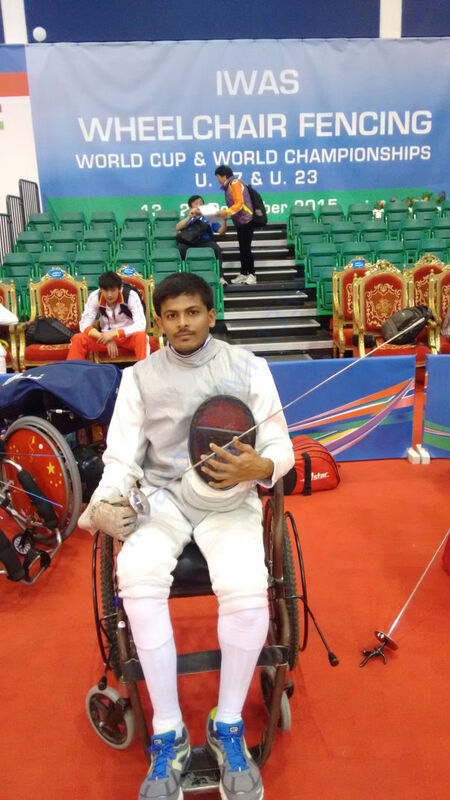 The result of his efforts is that he has won 4 silver medals, 6 bronze medals at National Level Wheelchair Fencing championships representing Karnataka for four times. 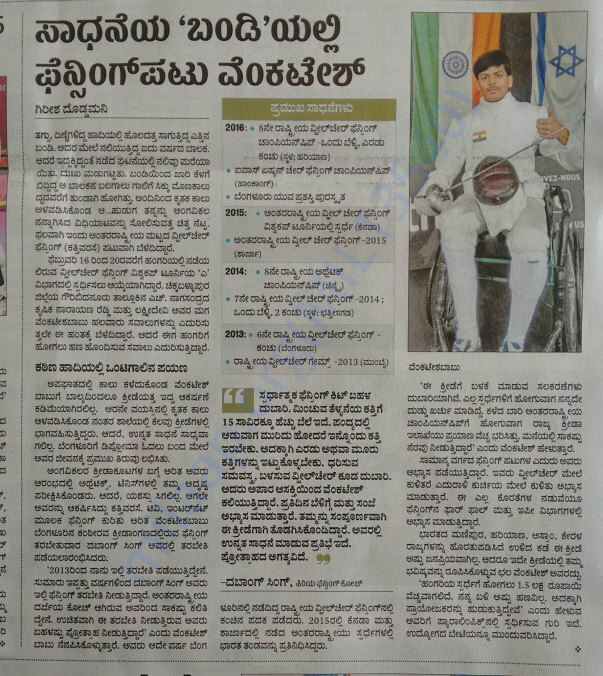 His international journey started with his selection in the IWAS Wheelchair Fencing World Cup 2015 at Montreal, Canada. 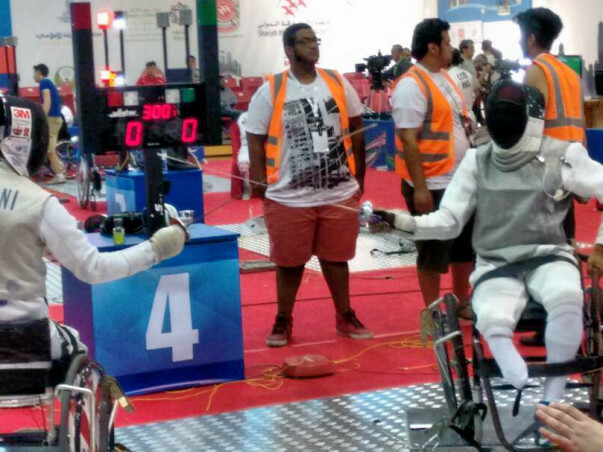 Later, he also participated in IWAS Wheelchair Fencing World Cup 2015 at Sharjah, UAE. 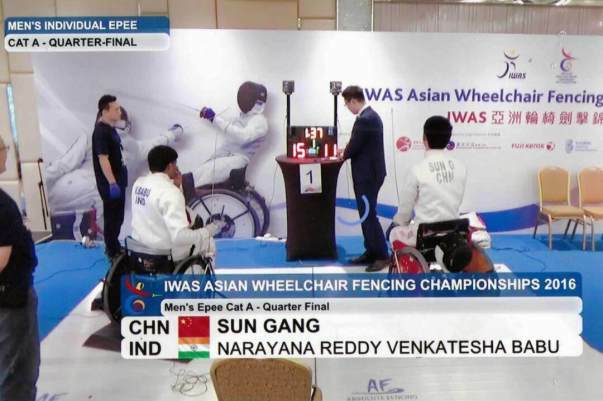 He also stood 8th place in the IWAS ASIAN Wheelchair Fencing Championship 2016 held at Hong Kong. He recently participated in IWAS Wheelchair Fencing World Cup 2017 at Egar, Hungary and represented India. Today, his world ranking is 40 in the Wheelchair Fencing Epee Event. 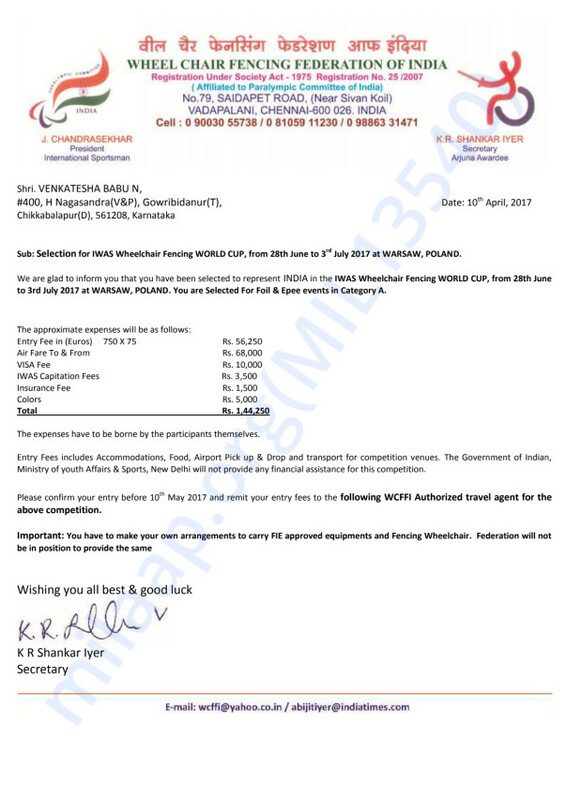 Now, Venkatesh Babu N has been selected for the IWAS Wheelchair Fencing World Cup 2017 at Warsaw, Poland which is scheduled from 28th June to 3rd July. But unfortunately, such sports talents in India have another challenge to face i.e., arranging funds. 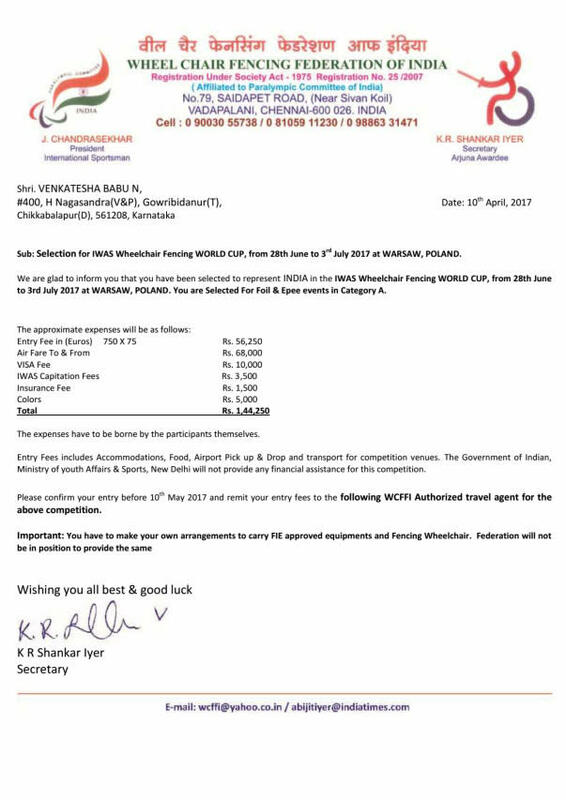 So, please help Venkatesh Babu in his endeavor to represent India at Warsaw, Poland. He currently requires about 1.5 lakhs for his taking care of the expenses at the competition. Please Donate now and support in celebrating the spirit of sports. I just want to say Thank you so much for believing in my cause and donating towards it. Dear Venkatesh, May God give you wings! Be blessed.